As a reader, there is one thing I will always have a hard time understanding. HOW a book gets such a high rating when you struggled so much with it. Granted! I know that everyone reads books differently, I do. And I did the audio on this book so maybe that’s why I struggled so much to like it but this book was just funny to me. Funny and weird. And let me just say this: such a beautiful, gorgeous cover all for…this. There is a good and bad thing about not reading blurbs. The bad thing is, you never know what you are going to get yourself into. The good thing is, you never know what you are going to get yourself into. In this case, it was a bad thing. One of the killers of The House was the dialogue between characters. Now, once again it could be because I listened to the audio but to me it was just off. Cheesy. Over done. Weird. Especially Gavin’s relationship with his house. I didn’t buy it and I most certainly didn’t connect, I laughed. Also, was this author trying to relate to the book “Room”? 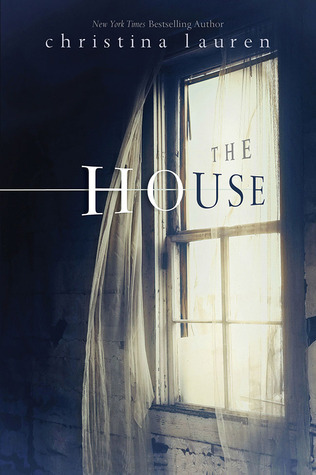 Some of the ways that Gavin spoke about the house was just oddly the same as that book. Which is all good but…not original. I’m open to recommendations on YA books that I would like, I think I am picking all of the wrong ones. I haven’t met one in a while that I have enjoyed. I do know that when you have to force yourself through the last 40% of a book, it’s not going to end well for you.